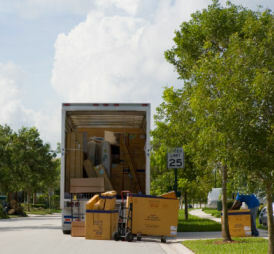 Long distance moves are considered any moves with a radius of over 100 miles or any move going out of state. 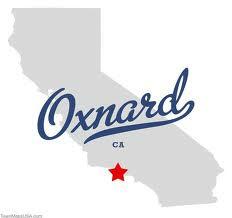 Oxnard Movers is fully insured to transport shipments anywhere in California or the United States. 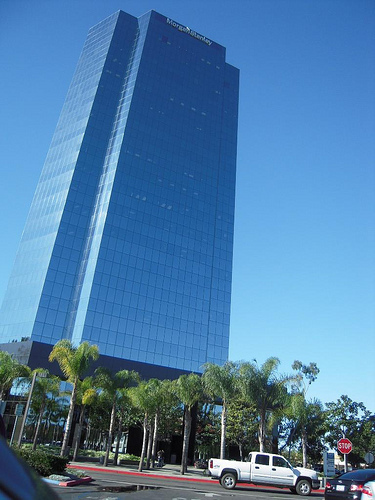 Oxnard Movers has a network of offices through out United States, which allows us to provide fast deliveries at very affordable rates to our long distance customers! Our long distance movers is the best choice for those planning important long distance moves. 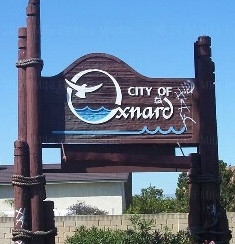 Oxnard Movers own a large fleet of modern and powerful trucks. These trucks are well maintained and very secure. They are designed especially for long distance moves. We can assure you that our entire fleet is technically sound and our goal is to have no trucks broken down while making important deliveries. Our movers careful and efficient with your belongings. Long distance moves are charged by the weight of the shipment and the distance to delivery, as well as movers performing other services. Such as:. Short term storage (at our secure, climate controlled warehouse). No one knows the exact weight of their shipment unless they have just recently moved and during the time since that move nothing has been added to the household. Therefore, to determine the actual weight of the shipment movers will weigh the truck twice. First time prior to getting to customers house and second time after the shipment has been loaded. Customers are welcome to follow our drivers to government regulated scales to observe the weiging of the truck. 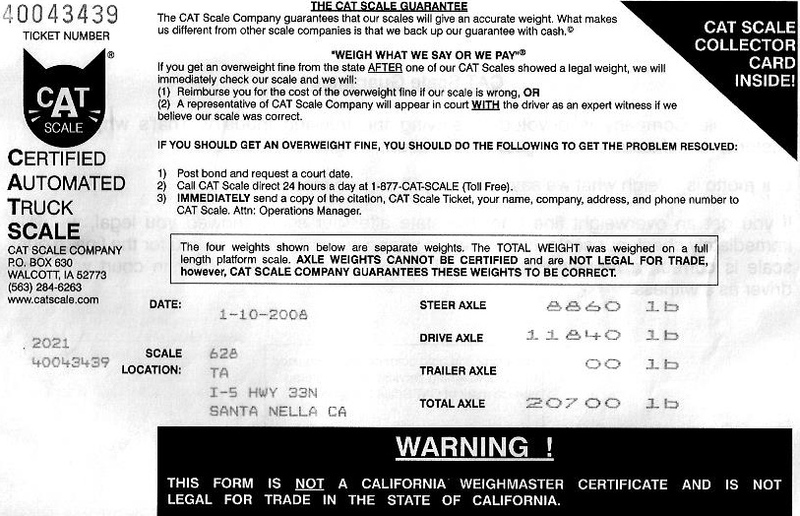 Transportation tariff is applied to the shipments weight. Here is a quick example of such calculation. Light weight of the truck: 14,300 lbs. Distance of the move: 900 miles (Oxnard, CA to Portland, OR) Tariff: $0.52/lb. 6,400 X 0.52 = $3,328.00 is a transportation cost. For customer and movers liability protection - movers will take an inventory of every item that will be loaded in the truck and tag it. The condition will be described and also logged in the inventory form. 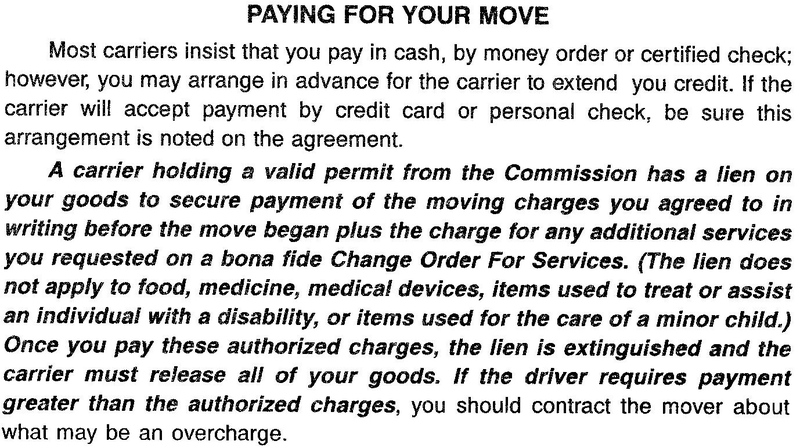 Both the customer and mover will sign this form twice at the pick up and during the unload to make sure all items are delivered and determine conditions of the articles. Customer will check for any move related damages. 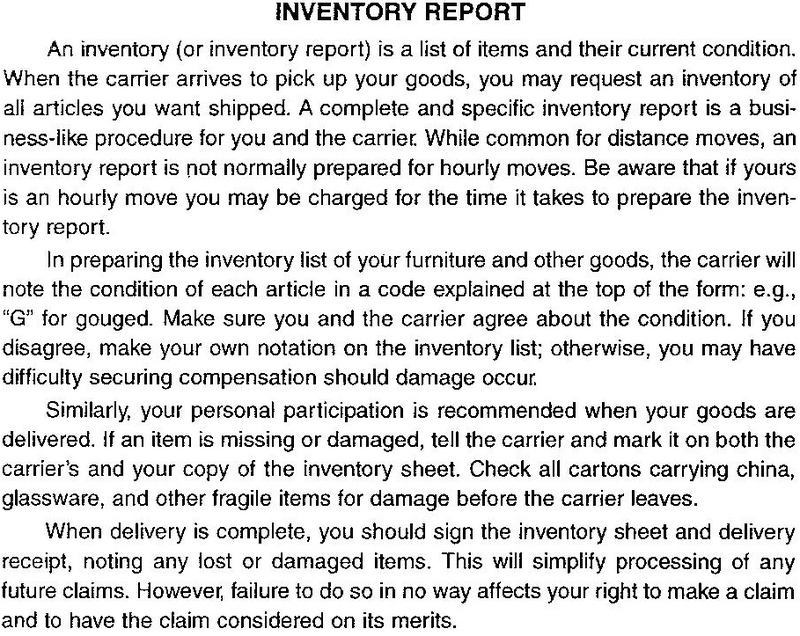 If any damages are found the notification will be made on the inventory form and later the customer can file a claim attaching the inventory form to it.